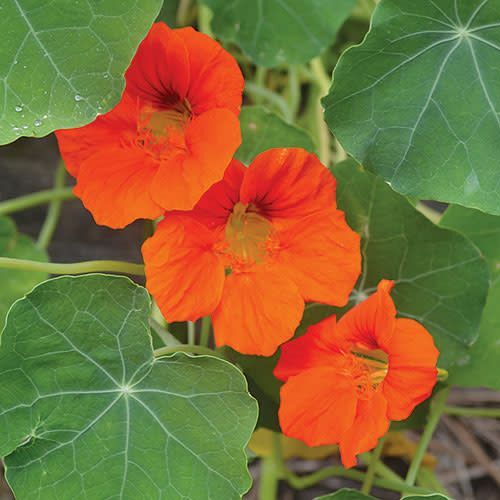 (Tropaeolum minus) Grown in the U.S. since at least the 1890s. A classic Victorian nasturtium with dark blue-green foliage. Brilliant crimson flowers on 12-14" plants. Suitable for containers. The flowers and leaves can be used as a garnish or as a peppery addition to salads and pastas. Hardy annual.